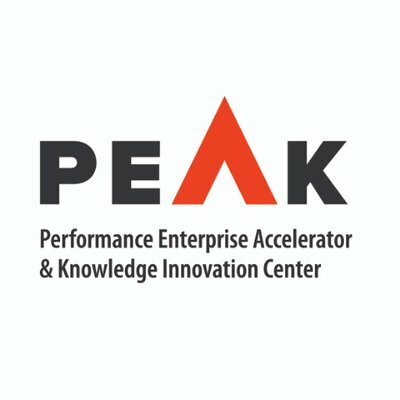 European University Cyprus (EUC) – Performance Enterprise Accelerator & Knowledge (PEAK) Innovation Center. The research center EUC-PEAK aims to research, support and accelerate efforts of Entrepreneurship, Business Innovation and Knowledge Transfer. The primary mission is to formulate a research community that creates research on the aforementioned topics. Research in such topics will focus on, but is not limited to, the impact of Entrepreneurship, Business Innovation and knowledge transfer in Cyprus and the near region. Further, the EUC-PEAK Innovation Center will work with the local SMEs, industrial and manufacturing community, students, stakeholders and public authorities to encourage the adoption of entrepreneurial mindset, practices and skills and to foster high-level research and development in this area, as well as the adoption of research in the business community. It will seek to be both a facilitator of change as well as a partner in efforts for knowledge to be transferred back and forth with the academic community and the local and regional businesses. It will aim to become a center for further education in the aforementioned topics, blending the academic and the business environment for effective synergies in entrepreneurship and business Innovation.